Closer inspection reveals subtle differences to the normal UK model. 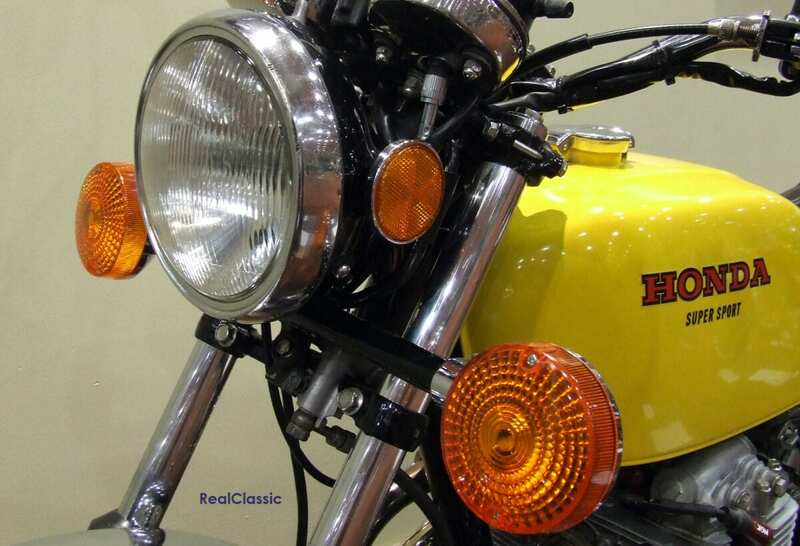 Black sidepanels, a sidestand with rubber tang (to kick it up if you ride off with it down), a massive tail-lamp and indicators are the most obvious clues that this is an export model. 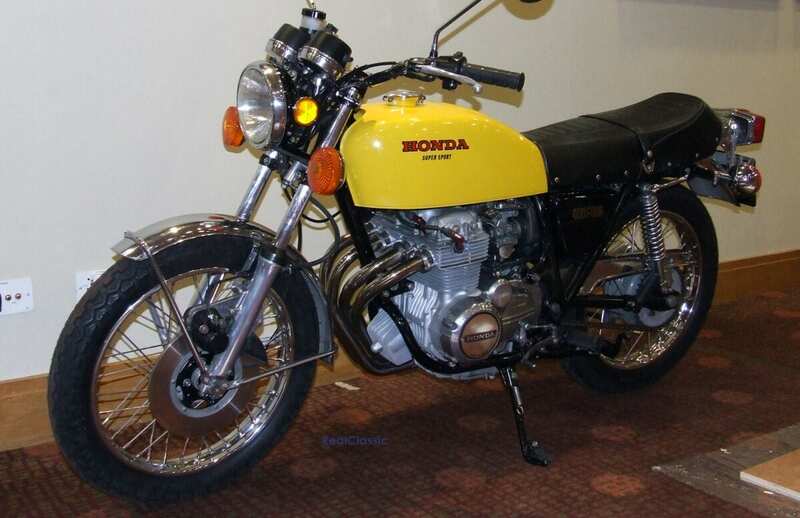 After he acquired it in 2016 from a dealer who’d imported it from Colorado, new owner David immediately set to stripping and rebuilding the Honda. Missing components were replaced, including the brake pipes, master cylinder, a lot of the cables, nuts and bolts. 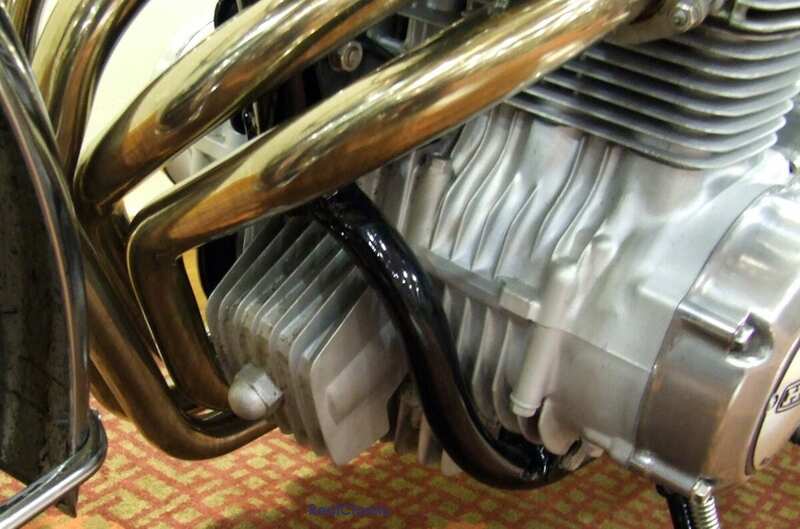 The importer also makes exhaust systems and took the opportunity to fit one of their own. Though not as eye-catchingly swoopy as standard, David says it sounds really nice. David replaced the large American trafficators with a new set, stripped and rebuilt the clocks (which were a bit tired), and reinstated the red line. This makes the rev counter really stand out as most have a sun-faded off-white triangle instead. 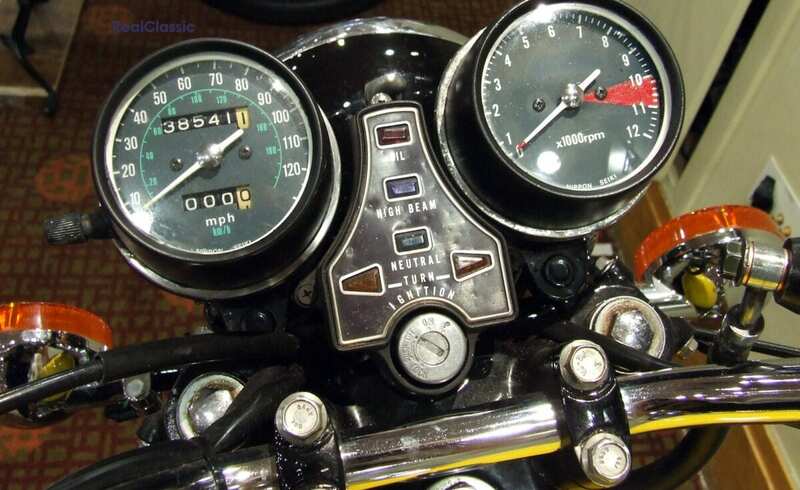 The speedo reads in miles and kilometres, and the switchgear also differs from the British model but the headlamp caused David the most pain. It took three attempts to source the correct one which is slightly smaller than 7”. The engine’s barrel and head have been off to do the valves, giving David the opportunity to replace the camchain. The wiring was OK but David fitted a modern fusebox. 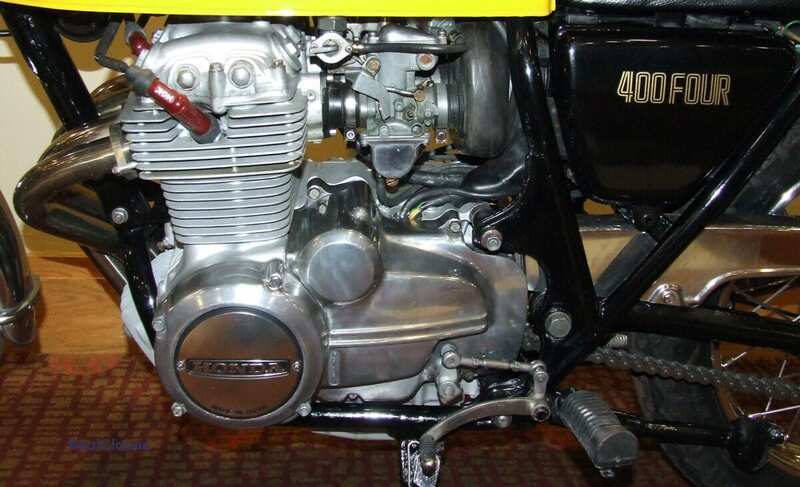 The 400/4 is still running on points rather than the popular upgrade to electronic ignition. 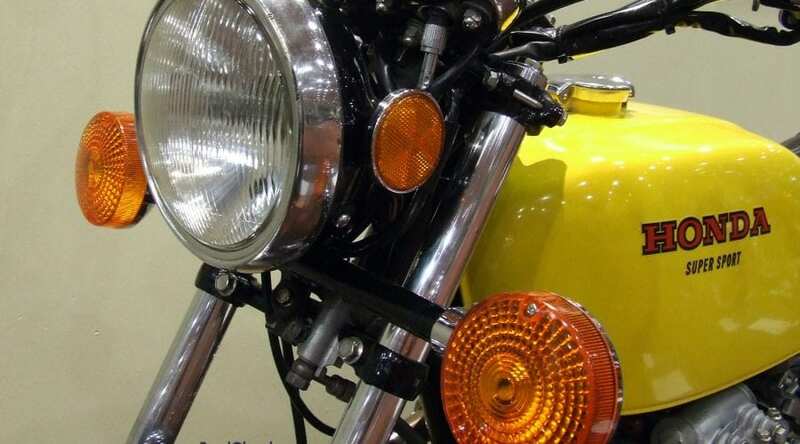 The wheels were rebuilt and the frame resprayed with two-pack. David took some bashes out of the tank, respraying it yellow along with the sidepanels. Then he realised the sidepanels would have to be black as the gold transfers wouldn’t show up on them. The engine was tidied up with Simoniz 5 wheel silver spray paint, which gave a pretty close match to the original factory finish. The mudguards and other bits cleaned up and a new chain and sprocket set were installed. A new seat was fitted to cover the rather amazing (rare as hen’s teeth!) original tool tray complete with tools and lid. 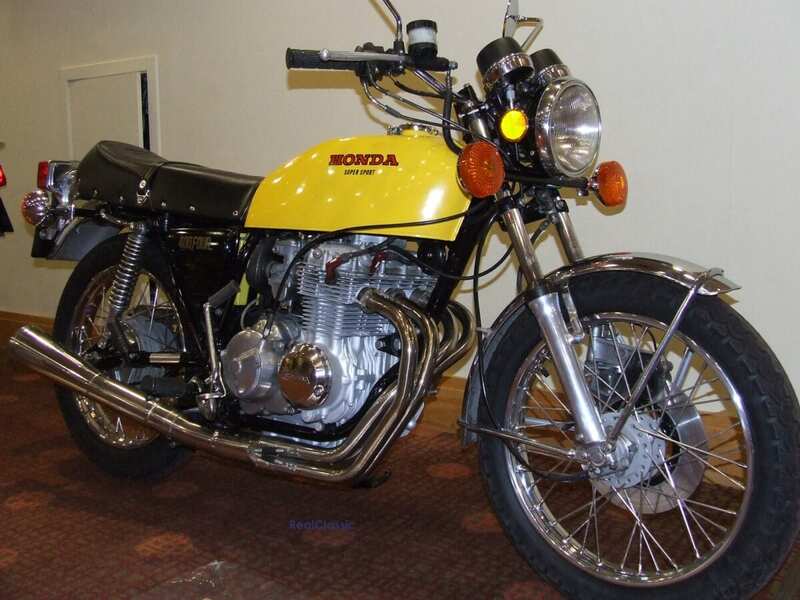 I like the fact that the bike’s rear end is nicely symmetrical, featuring two grab rails – it’s always good to have a spare. David assumed two were fitted as standard and has found them to be quite handy.